Almost 50 students in the final year of university along with those who have been able to secure jobs attended the Students Meet held at Asha’s community centre in Kanak Durga slum colony. The meeting started with a talk by Asha’s Associate Director, Freddy Martin titled, ‘I Am Responsible for My Own Happiness!’ In the highly interactive session, he spoke about the importance of staying happy and listed out the few ways by which one can remain happy despite all odds. Freddy also narrated the story of Shiv Kumar, one of the old students from Kanak Durga slum colony who has been associated with Asha for more than 20 years now. Today he is a happily married man working as Sound Engineer & Video Editor at 3S Studios. 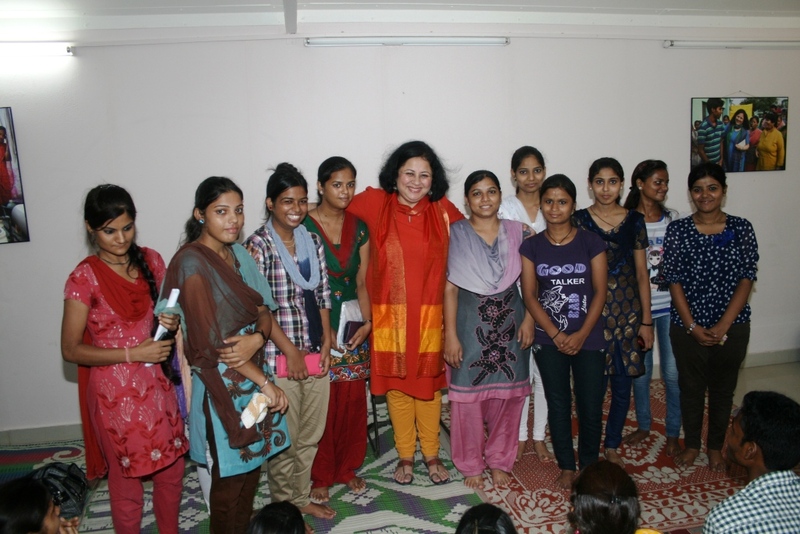 Asha’s Founder and Director, Dr. Kiran Martin was overwhelmed with joy to know that so many of the students were now working at places such as Flight Chef, Carlson Wagonlit Ltd., Indira Gandhi International Airport, Voltas, Schneider among the rest. 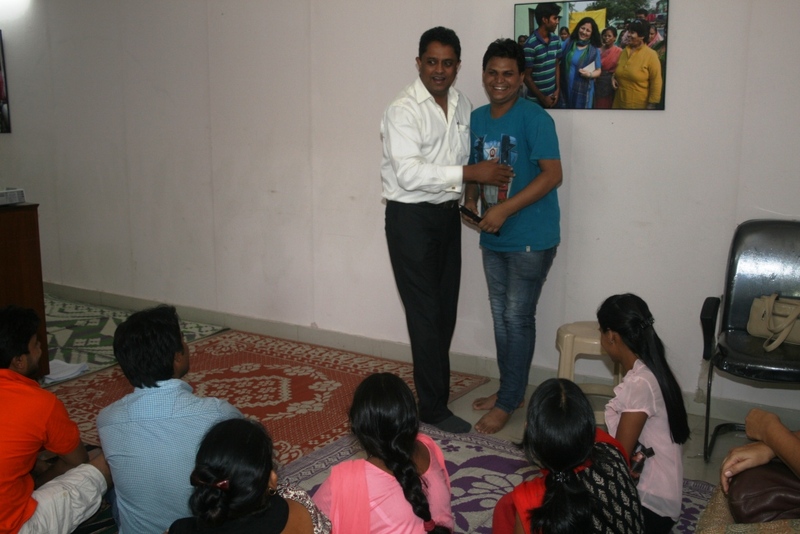 Many students came forward to share their experiences with everyone, regarding their initial struggles, hope given to them Asha and the transformation in their lives as a result of Asha’s support and their zeal to bring a difference their lives. 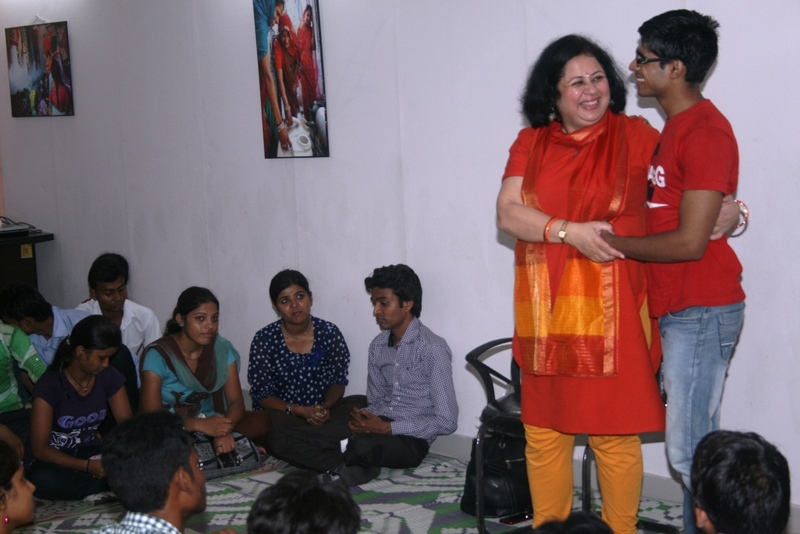 The students became emotional while sharing their stories and expressed their deep and undying gratitude for Asha and especially Dr. Kiran for all the love, support and guidance which has helped them break their bindings and grow into confident and focused individuals who believe in their capabilities. It was the first time for Asha that so many students who have secured jobs after their higher studies were able to come together and share their stories with others. Asha is immensely proud of each of them and hopes their stories will be an example and motivation for others who are just starting their higher studies.